ACM SIGKDD is pleased to announce that Prof. Christos Faloutsos is the winner of its 2010 Innovation Award. He is recognized for his fundamental contributions to graph and multimedia mining, fractals, self-similarity and power laws; indexing for multimedia and bioinformatics data, and data base performance evaluation. 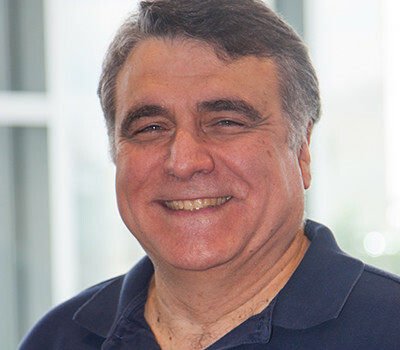 Professor Faloutsos' seminal cross-disciplinary works on power-law graphs, fractal-based analysis, time series, multimedia and spatial indexing are a rare combination of both impressive breadth as well as fundamental depth that set new research directions and inspired subsequent research impacting the KDD field. His fundamental contributions to spatial and multimedia mining and indexing were well recognized. In 1997, VLDB recognized his R+ tree method with its 'ten year paper' award. His work on Hilbert curves and fractals allowed for better access methods, as well as for modeling and selectivity estimations of real clouds of points. His work on QBIC (Query By Image Content) has been cited more than 1,000 times and inspired similar features that are in commercial products such as DB2 Image Extender, and the proposed GeMINI approach (GEneralized Multimedia INdexIng) became the norm in the field. His expertise in the field of time series analysis and mining is widely recognized. His FODO 1993 paper introduced methods for efficient similarity search in sequence databases, and it has been cited over 1200 times. His SIGMOD 2004 paper on fast subsequence matching in time-series databases was recognized with the best paper award and has been cited over 1100 times. These seminal papers laid the foundations that inspired a new research area on time series databases. His SIGCOMM 1999 paper discovered the fundamental power-laws in the Internet topology. This work pioneered the field, and has inspired many follow-up studies. As an indicator of the huge impact, the paper is the 5th most cited paper in 1999, it has been cited over 3000 times since, and will be presented with the "Test of Time" award at SIGCOMM 2010. His KDD 2004 paper was a pioneering contribution to large-scale graph mining. It introduced fast methods to discover connectivity subgraphs, leveraging the duality between random-walk and electricity-based similarity to achieve efficient methods that can be applied at web scale. Going beyond static network models, his seminal paper on modeling network evolution received the best paper award in KDD 2005. This paper reveals surprising phenomena in time-evolving networks such as shrinking diameter and provides a mathematical model, the densification law, to accurately explain those phenomena. His work has also introduced fast methods for estimation of key graph metrics, winning two consecutive SDM best paper awards in 2007 and 2008. Two of his students won dissertation award and runner-up on topics related to graph mining in KDD 2008 and 2007, respectively. His sustained contributions to KDD, with more than 200 highly cited publications, have been well recognized by a series of prestigious awards, including the ICDM Research Contributions Award in 2006 and 15 Best Paper awards from various highly competitive academic forums including KDD, ICDM, SDM, PKDD, PAKDD, SIGMOD, and VLDB. His work has led not only to important publications, but also to several projects with great broader societal impact. For example, his NetProbe project, which developed tools combating Internet auction fraud, was widely reported by many major news media. He served on the Board of Directors of the first ACM SIGKDD Executive Committee. He was Program Chair of KDD 2003 and SIGMOD 1999. He was an associate Editor-in-Chief of IEEE Transactions on Knowledge and Data Engineering (TKDE), and is an associate editor of ACM Transactions on Knowledge Discovery from Data (TKDD). He has made significant contribution to the KDD community by continuously training many prominent students and young researchers. He received his PhD in 1987 from the University of Toronto, Canada. Since 2000, he has been a full professor at the School of Computer Science at Carnegie Mellon University . He has been issued 5 patents with 4 more pending. He has delivered more than 100 Distinguished, Keynote, and Invited lectures.